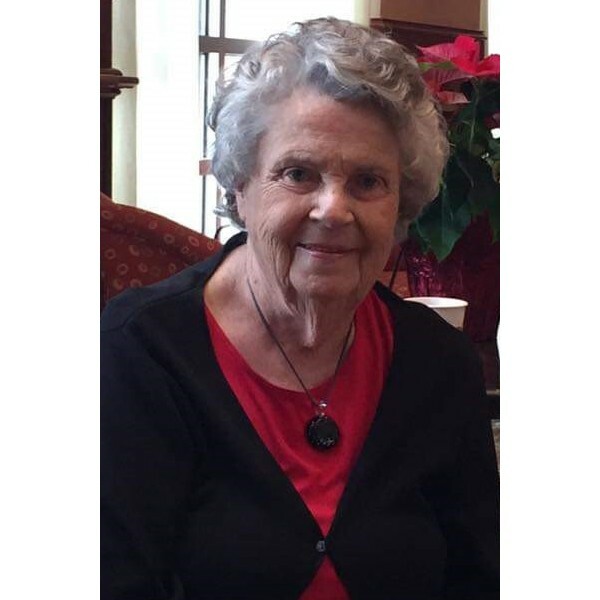 Agnes Jane Garrett Arnold, 85, of Acworth, GA, passed away at Tranquility Hospice at Kennesaw Mountain on Sunday morning January 27, 2019. She was born on August 7, 1933 in Atlanta, GA. She lived in both Athens, GA and Roopville, GA and loved both places passionately. 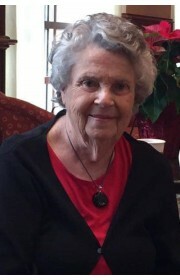 She graduated from Athens High School in 1949 and attended Georgia State College for Women in Milledgeville, GA.
She married Merrill Knighton Arnold in Athens, GA on Christmas Eve in 1953. They immediately moved to Fort Jackson in Columbia, SC and the next year started a family with the birth of the first of five sons. Jane and Merrill moved a number of times over the years living in East Atlanta, Avondale Estates, Louisville, KY, Albany, GA, Griffin, GA and finally settling in Acworth, GA in the late ‘70’s. Jane was an incredibly sweet lady whose entire life revolved around her family. She could always be found supporting them at their various activities. She was active in the church community and loved singing in the choir. She was known to be a trusted confidant and friend to all. Jane was preceded in death by her husband, Merrill and by her grandson, Elliott Arnold. She is survived by her five sons and daughters-in-law, David & Annette, Drew & Susan, Jay & Cindy, Rusty & Jodi, and Robert & Melissa, her 12 grandchildren, Olin, Mary, Emily, Audrey, Garrett, Amanda, Bethany, Thomas, Nathan, Justin, Michael, and Cassie, and her 3 great grandchildren, Logan, Lucy, and Althea. She is also survived by her sister Kathy Ballard and niece Jackie Rhoads. Visitation will be held Wednesday, January 30th starting at 1:00 p.m. followed by the service at 2:00 p.m. at Acworth United Methodist Church in the McClure Chapel. In lieu of flowers, memorial donations may be made to the Mowat-Wilson Syndrome Foundation via mowat-wilson.org. Condolences can be left for the family at www.GeorgiaFuneralCare.com. 1 Comments To "Agnes Jane Garrett Arnold"